It all started four decades ago against the Seven Oaks Raiders. 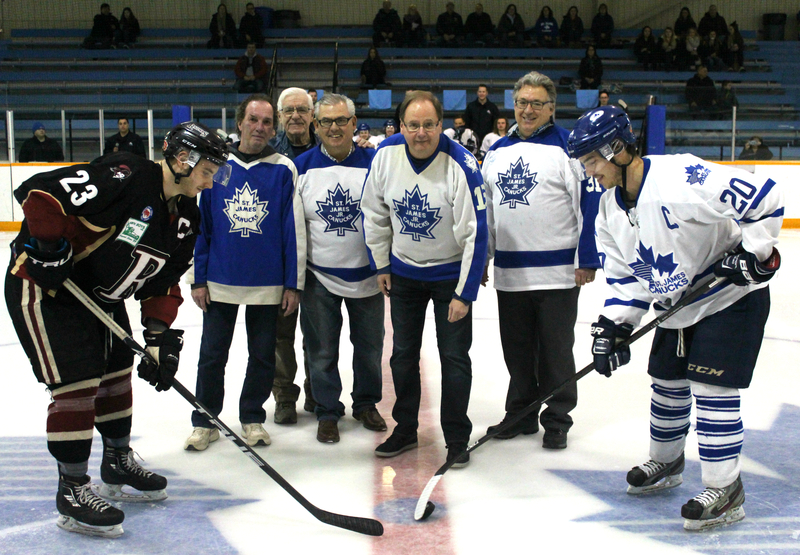 It was only fitting then, that the St. James Canucks hosted the Raiders Junior Hockey Club in their first home game of 2018 to mark the 40th anniversary of the Manitoba Major Junior Hockey League in the St. James community. Prior to the game, the Canucks honoured five members of the original team as they dropped the ceremonial puck with Canucks’ captain Wyatt Kemball and Raiders’ captain Nicholas Matthews. Ken Mcleod did the honours, as he was the first player the Canucks signed back in 1978. 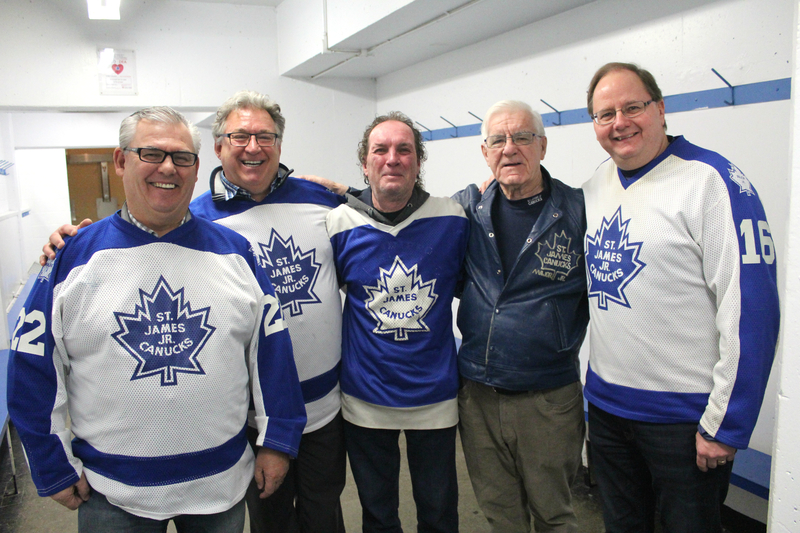 He was joined by fellow first team members Mike Fardy, Dickson Gould, Glen Campbell and Canucks’ founder and former president Tom Miller. 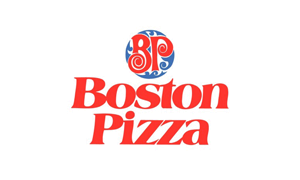 The Canucks organization wants to thank all past and present people who have been involved with the Canucks in a variety of roles. 40 years of great hockey wouldn’t be possible without the tireless work of our volunteers, staff and players, both past and present. 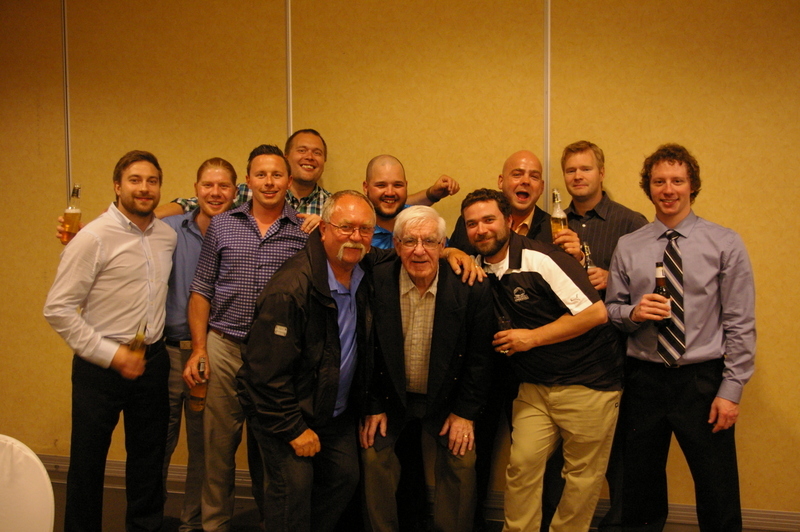 You can look back through the years of St. James Canucks’ hockey under the alumni tab on our website. The Canucks are also very pleased to announce we will be hosting an alumni game for the first time next month. The event will include two age categories and re-meet and greet, where former players will have the chance to catch up at the Silver Heights Restaurant and Lounge. For more information on the alumni game or to register, click here. 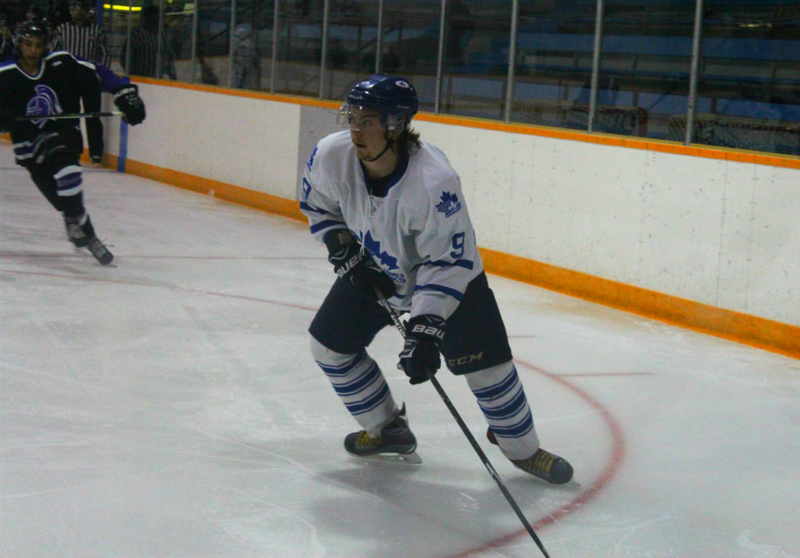 In the game on Sunday, the Canucks fell 5-3 to the tough first place Raiders team. Dylan Reinheimer, Wyatt Kemball and Tristan Ezako scored in the game. 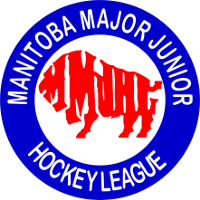 The Canucks’ are back in action this weekend at the MMJHL showcase at the Bell MTS Iceplex. On Friday, Jan. 12 they will take on the River East Royal Knights and on Saturday, Jan. 13 they will take on the St. Vital Victorias.